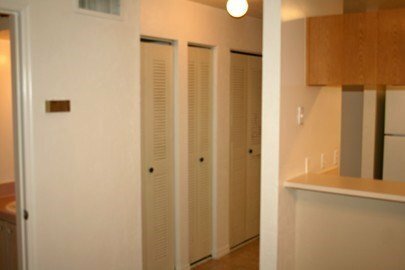 Located nearest to the southwest edge of the University of Florida campus, Greenleaf apartments in Gainesville, Florida offer spacious 2 bedroom townhomes in a quiet setting. Individuals looking to live away from the University of Florida’s campus noise will love living at Greenleaf Apartments in Gainesville, Florida. 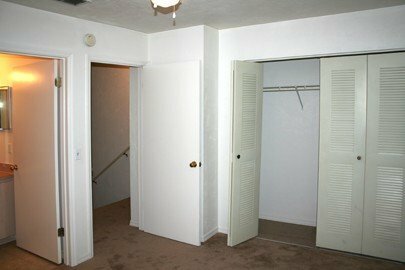 This townhome community is nearest to the southwestern edge of campus, and while public transportation is available near Greenleaf Apartments, residents with a car will find it more convenient. Students can reach the Levin College of Law in 14 minutes by car or take the 12 bus and arrive there in under an hour and a half. The Florida Museum of Natural History is accessible in under an hour by the 75 bus, or it is only an 11-minute drive. 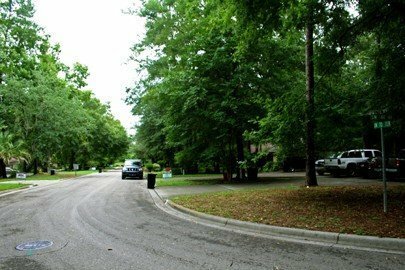 Several parks are close to Greenleaf Apartments making it the perfect spot for nature lovers. Kanapaha Botanical Gardens is an 8-minute drive or a 20-minute walk from the community. The garden has the largest display of bamboo in the state and a massive herb garden and is widely renown across the country. Residents with dogs can take advantage of the 15-acre off-leash dog park at Dogwood Park and Daycare. It is just a ten-minute drive away. Foodies will have plenty of dining options surrounding them at Greenleaf Apartments. For those who want to try something different, Garlic and Ginger is a quaint eatery serving Korean cuisine just 5 minutes from residents’ doorsteps. Thai cuisine is served at Bangkok Square, a family-owned and highly-reviewed restaurant, in the same area. When residents desire Italian fare, Piesano’s Stone Fired Pizza is waiting for them just 5 minutes away and offers pizza, pasta and subs. No matter an individual’s tastes, they will find a restaurant right near by to satisfy their cravings. 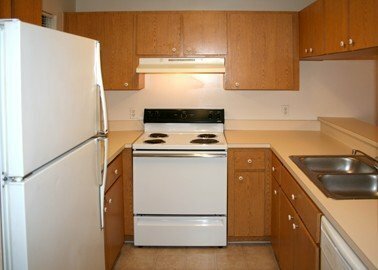 Greenleaf Apartments provide a number of amenities to its residents to ensure their comfort. 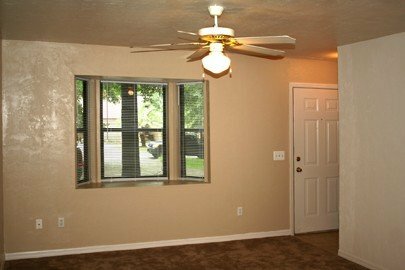 Each townhome has plenty of natural light from their bay windows, tile floors for easy cleaning and ceiling fans to keep residents cool on hot days. Each unit also has washer and dryer hook ups, but the community also has a laundry facility for those who do not have their own appliances. The community is also pet-friendly, so residents can bring their furry friends with them to their new home. 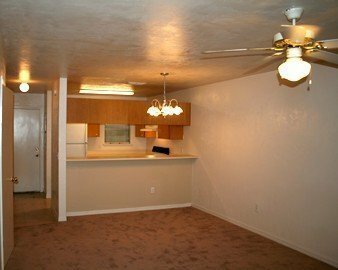 Residents will love living in their spacious new homes at Greenleaf Apartments.